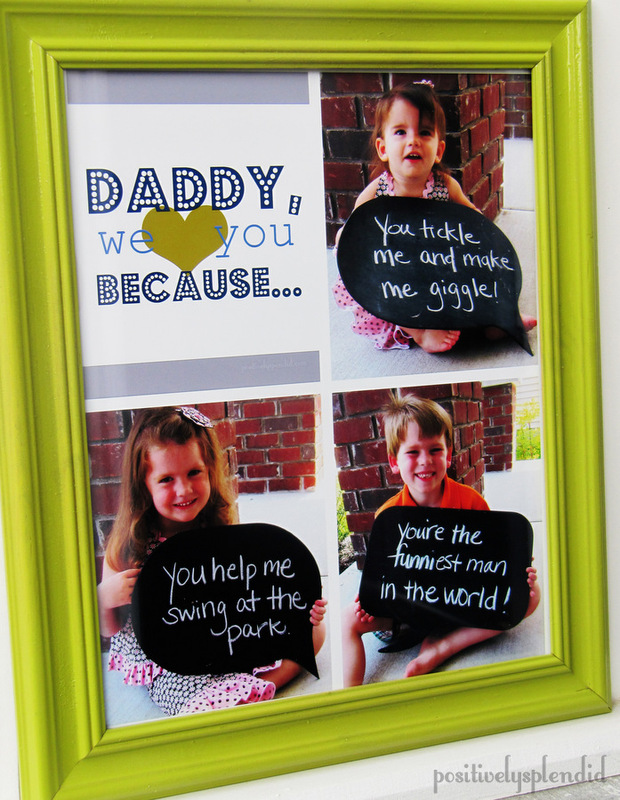 I’ll admit it: I sometimes find it challenging to find great gifts for the men in my life when it comes to Father’s Day, birthdays, graduations, and other special events. 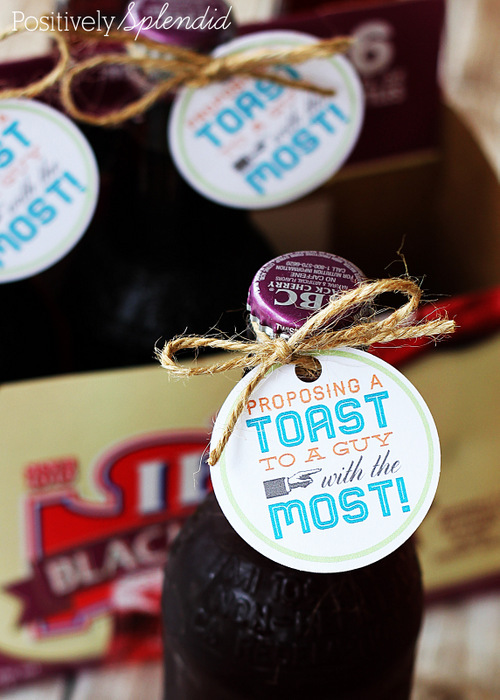 Today, though, I’m sharing a fun gift idea that always seems to be a hit with the guys! 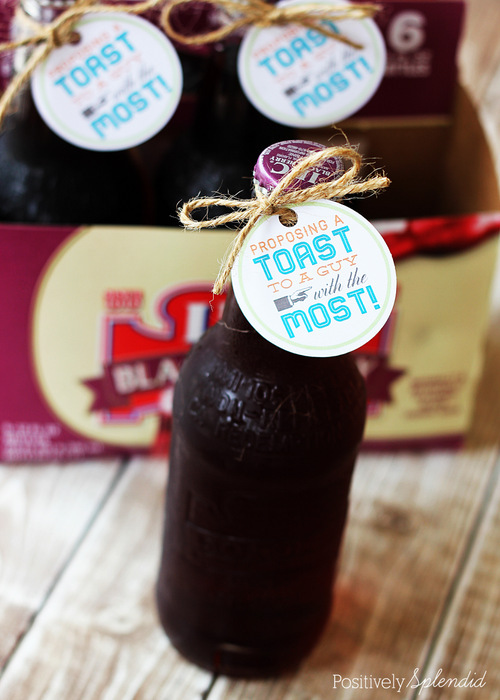 It seems every man has a special drink he likes to enjoy after a long day, so I decided to take that idea and run with it to come up with this fun personalized beverage gift idea this is a fun, easy gift idea to whip up–even at the last minute! Let me fill you in on all the details. 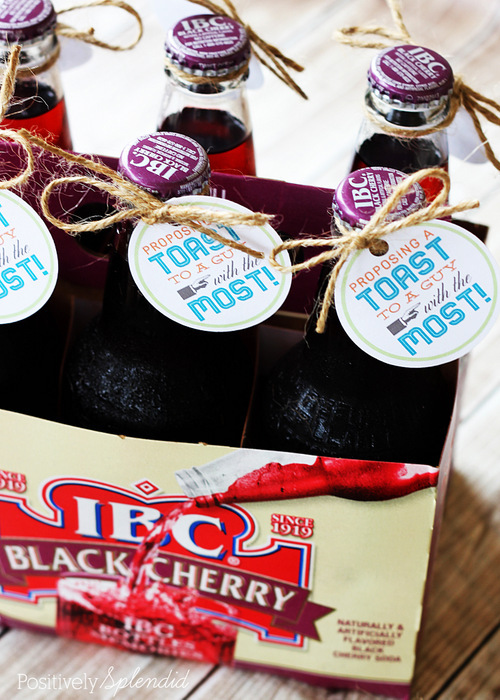 Start by simply grabbing a few bottles or cans of your guy’s favorite beverage. Then, download and print my cute (and free!) printable gift tags (linked below) onto white cardstock. Use a 2″ round punch to cut each one out, and then punch a hole through the top of each with a regular hole punch. Now, thread some twine through the holes, and tie a tag onto each bottle or can. In no time, you’ve got an easy, fun gift that any guy is sure to love! In addition to dads and grads, this idea would also be great for the groom to give as a token of appreciation to his groomsmen. To download these free gift tags, click here. 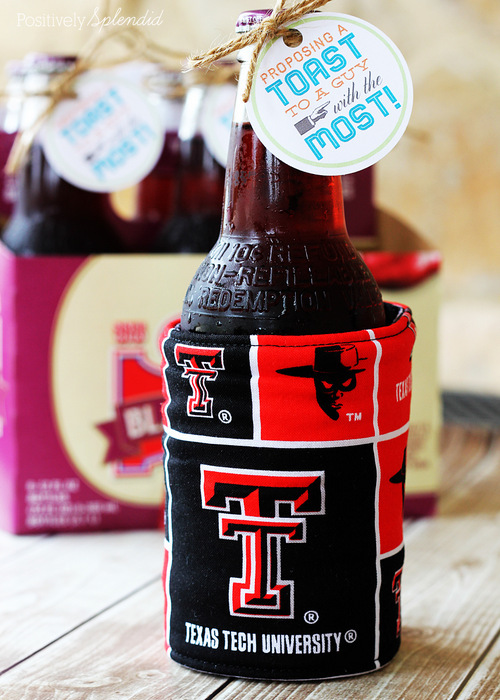 For an even more personalized touch, you can punch up this gift idea even more by giving the drinks along with a handmade koozie stitched up with fabric from a favorite team or sport. 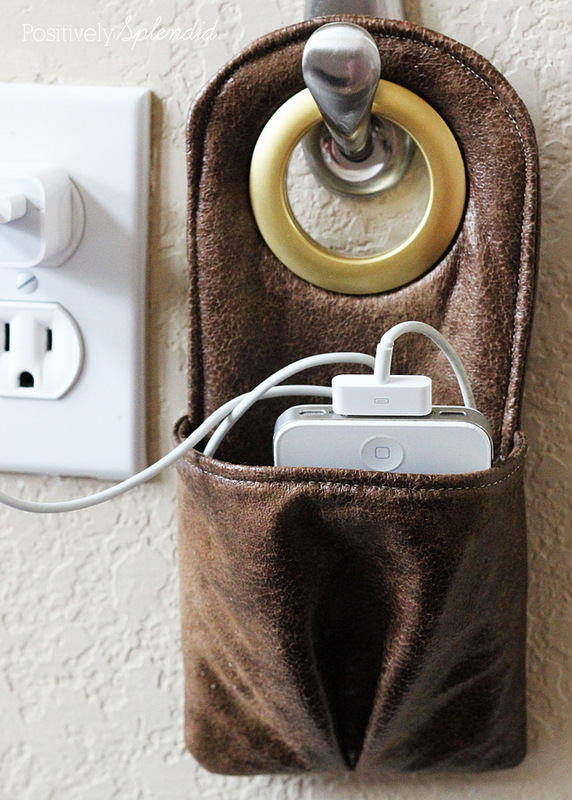 You can find the complete tutorial for these DIY Insulated Beverage Holders here at PS, so be sure to head over to check it out! 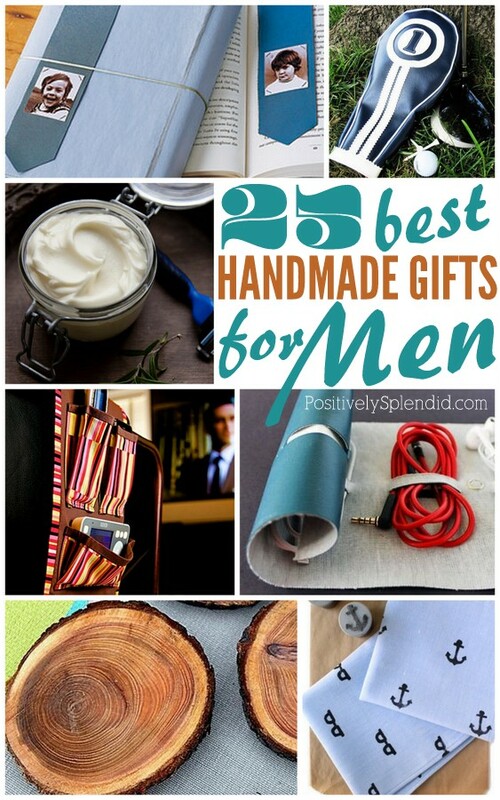 On the lookout for even more great gift ideas for guys? Click here to view all of the gifts for men category here at PS, or scroll down to see some of my personal favorites!